The term consumer electronics refers to a wide variety of personal and household electronic devices designed for everyday use. Among these are personal desktop computers and laptop computers, ebook readers, cell phones, and digital cameras, TVs, radios, DVD players, and MP3 players. Consumer electronics make up a huge percentage of consumer purchases and are equally likely to be purchased online or in a brick and mortar store. In many cases, multifunction devices such as all-in-one printers or TVs and Blu-Ray players that connect to the Internet may save money over purchasing items separately for each task. Depending on the item, an extended warranty may or may not be worth it, as the price for the warranty can often be comparable to the actual cost of repairing the item, should it break. Refurbished and "open box" items can be a great value, but be sure to purchase from a reputable retailer or manufacturer and check the warranty and return policy. Stores often compete with each other to provide the best selection on the latest products and many retailers are willing to price match or otherwise negotiate somewhat on price to make the sale. 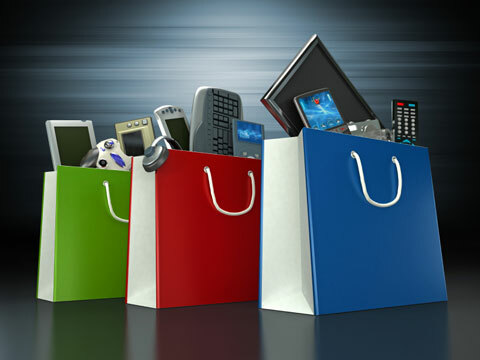 Wise consumers can take advantage of this to find the best deals for their electronic needs, but should also pay attention to the store's return policy, and whether any product categories are excluded. Some retailers allow the consumer to return online purchases to a store, saving on return shipping costs and wasted time waiting for a refund, but a restocking fee of up to 25% of the purchase price may be written into the small print. Searching online for prices and reviews is one of the best ways to ensure that you will be satisfied with your consumer electronics purchase over the long term. Radio controlled clocks, atomic clocks, and atomic watches. Cellular phone batteries and wireless phone accessories. Computer printer guide and manufacturer directory. Camcorders, digital video cameras, and camcorder accessories. 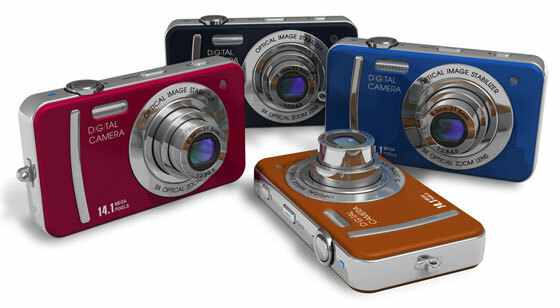 Digital cameras, camera manufacturers, and photo gear. Laptop computer batteries and battery chargers. Batteries, power supplies, AC adapters, flashlights, and accessories. Guide to digital video projection equipment and home theater products. 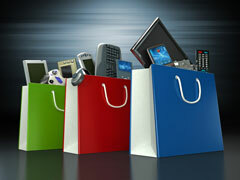 Compare wireless feature phones, smart phones, and PDAs.